While the rest of the country bundles up this winter, South Florida visitors and locals can spend a simmering day at the Miami Seaquarium. 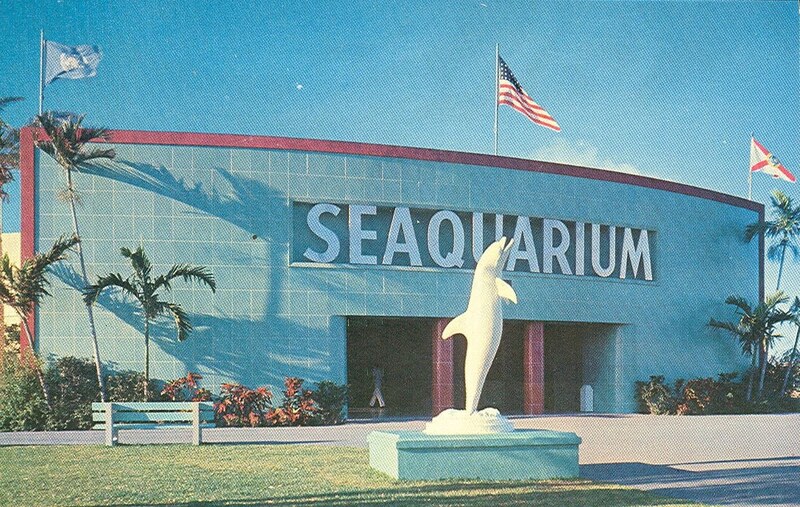 Approaching its 60th anniversary, the Seaquarium opened its doors on September 24th, 1955. The $2 million project, which took 14 months of construction to create the 38-acre marine-life attraction, was the dream of wealthy Ohio industrialist Fred D. Coppock. 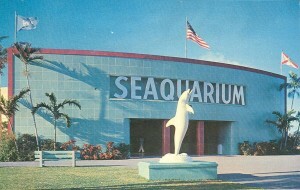 Operated by Wometco (Wolfson-Meyer Theatre Company) Enterprises, the Seaquarium, at the time of its opening, was one of the first marine-life parks in America and the largest in the world. American audiences were also introduced to the famed dolphin Flipper in 1963. 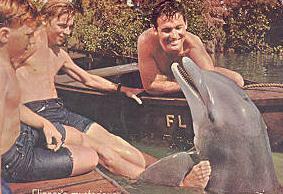 Two films and 88 television episodes later, the charismatic dolphin and his human friends were filmed at the Seaquarium through 1967. The Seaquarium was also home to the Spacerail, Miami’s first monorail and one of the first on the East coast. 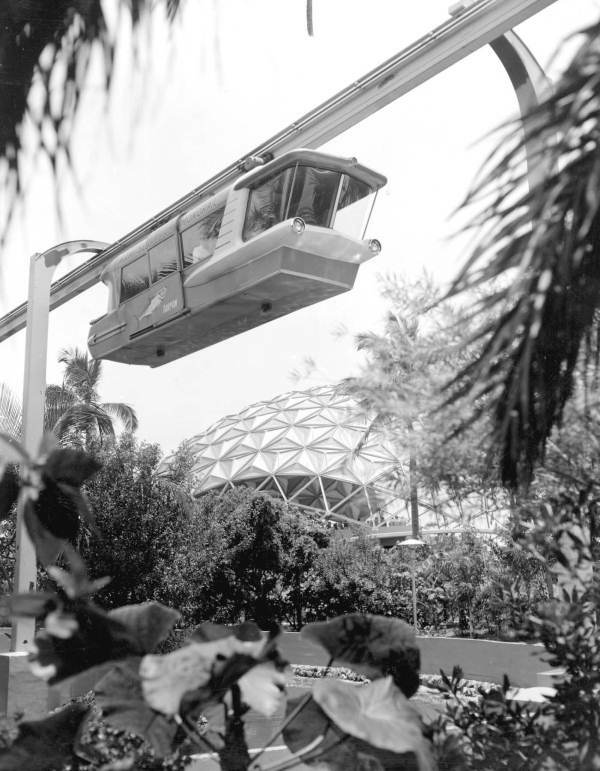 Constructed in 1963, the innovative monorail stood 33 feet above ground and carried passengers on a 2,300 foot long sightseeing guideway through shows, exhibit buildings, and views of Biscayne Bay. However, the monorail was demolished in 1991 to make way for park expansion. Most recently, via local media outlets, Arthur Hertz, chief executive of Wometco, stated that there have been some discussions with different companies on the future of the Seaquarium. One company that has shown interest is the Spanish parks operator Palace Entertainment. In the meantime, the park continues to be one of South Florida’s most popular attractions. This entry was posted on Thursday, December 12th, 2013 at 3:13 pm and is filed under Architects, Buckminster Fuller, Key Biscayne, Modern, Photo Galleries, Videos, YouTube Video. You can follow any responses to this entry through the RSS 2.0 feed. Both comments and pings are currently closed.